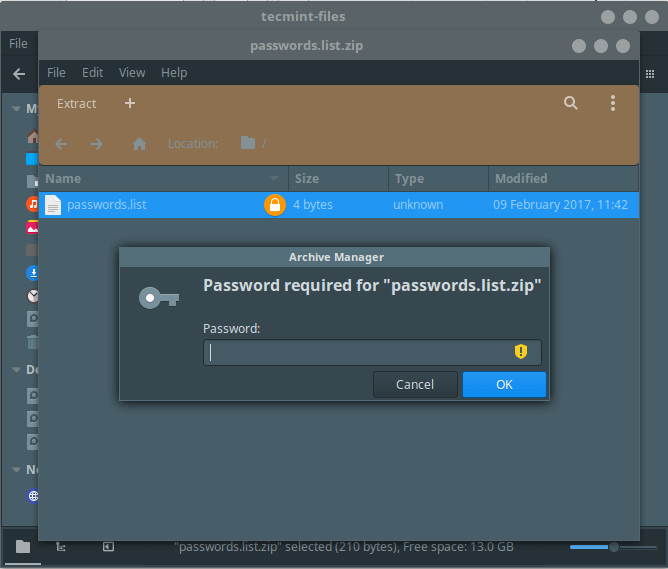 Do you occasionally share your Linux desktop machine with family members, friends or perhaps with colleagues at your workplace, then you have a reason to hide certain private files as well as folders or directories. The question is how can you do this? 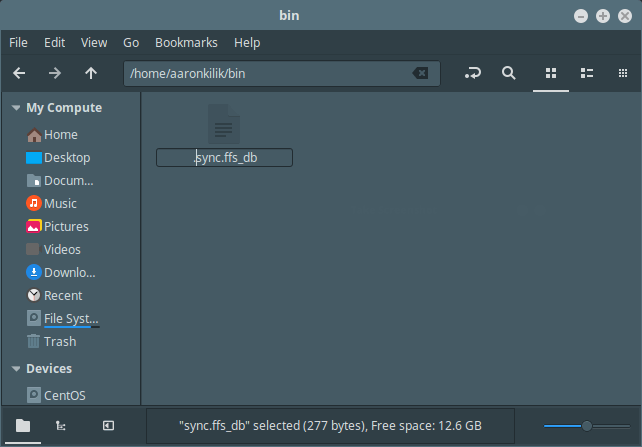 In this tutorial, we will explain an easy and effective way to hide files and directories and view hidden files/directories in Linux from the terminal and GUI. As we’ll see below, hiding files and directories in Linux is so simple. To hide a file or directory from the terminal, simply append a dot . at the start of its name as follows using the mv command. Using GUI method, the same idea applies here, just rename the file by adding a . at the start of its name as shown below. Once you have renamed it, the file will still be seen, move out of the directory and open it again, it will be hidden thereafter. To view hidden files, run the ls command with the -a flag which enables viewing of all files in a directory or -al flag for long listing. From a GUI file manager, go to View and check the option Show Hidden Files to view hidden files or directories. 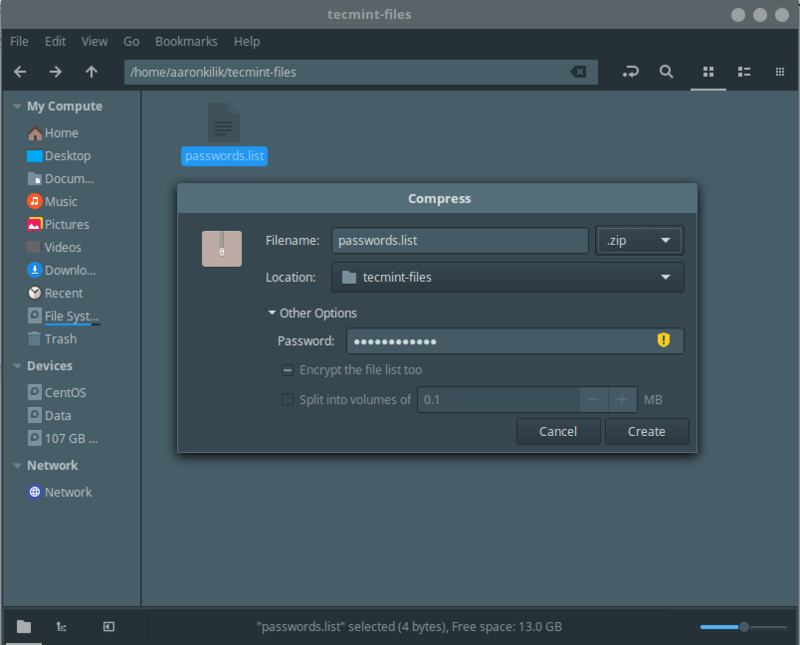 In order to add a little security to your hidden files, you can compress them with a password and then hide them from a GUI file manager as follows. Select the file or directory and right click on it, then choose Compress from the menu list, after seeing the compression preferences interface, click on “Other options” to get the password option as shown in the screenshot below. Once you have set the password, click on Create. From now on, each time anyone wants to open the file, they’ll be asked to provide the password created above. Now you can hide the file by renaming it with a . as we explained before. That’s it for now! 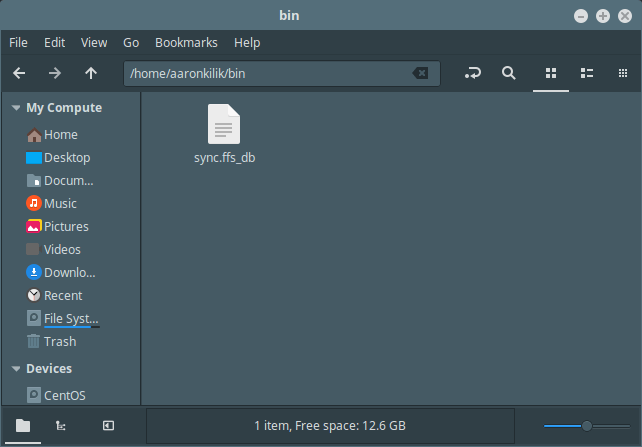 In this tutorial, we described how to easily and effectively hide files and directories and view hidden files/directories in Linux from the terminal and GUI file manager. Make use of the feedback form below to share any thoughts with us.